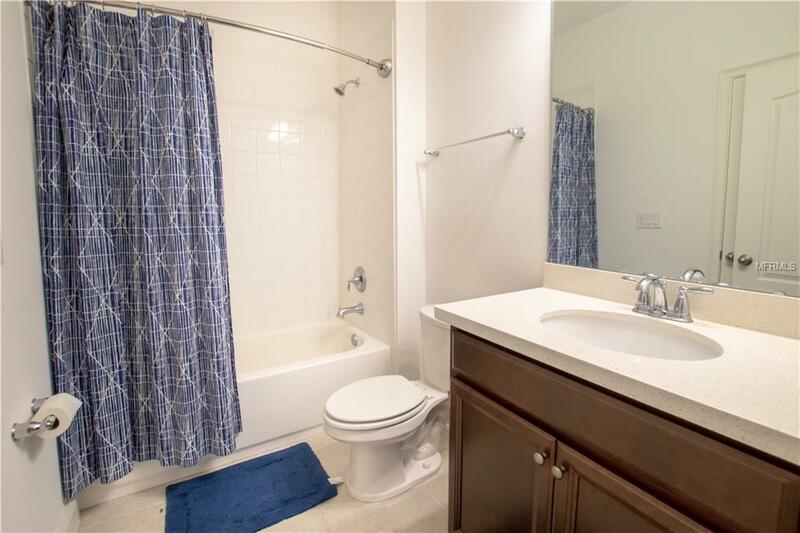 Located in the heart of Horizon West, this "like new townhome has been lived in less than a year. 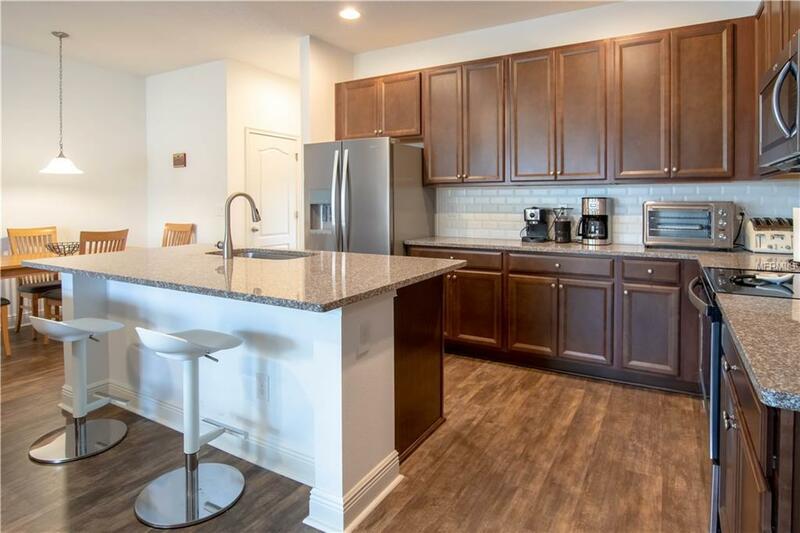 Beautiful upgrades abound in this three bedroom three bath home featuring a downstairs bedroom that could double as an office and two master suites upstairs, both with huge walk-in closets and dual sink quartz vanities. The front facing master suite has private balcony access with nightly views of Disney fireworks. 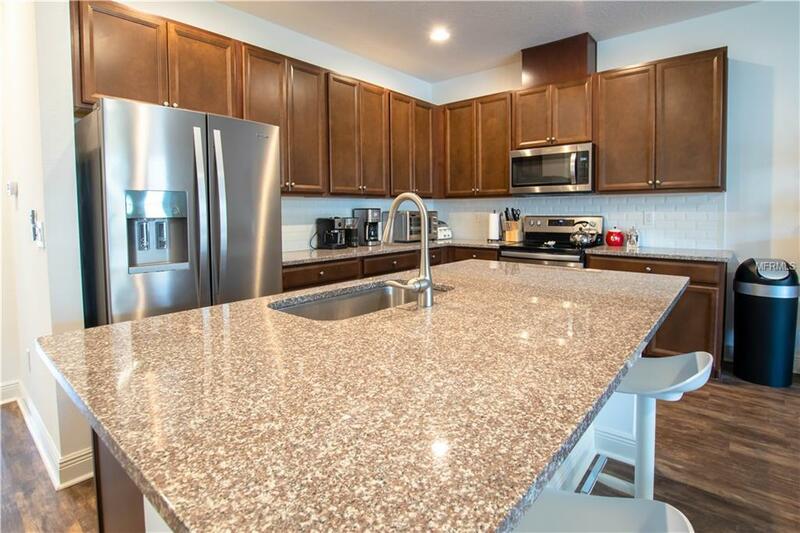 Overlooking the living and dining rooms, the kitchen boasts stainless steel appliances, quartz counters, 42 cabinetry, a subway tile backsplash, and an oversized island with breakfast bar seating. A single French door leads from the living room to the fenced yard which includes a lanai and a covered walkway to your two car garage. All appliances including the washer and dryer are included in the sale. 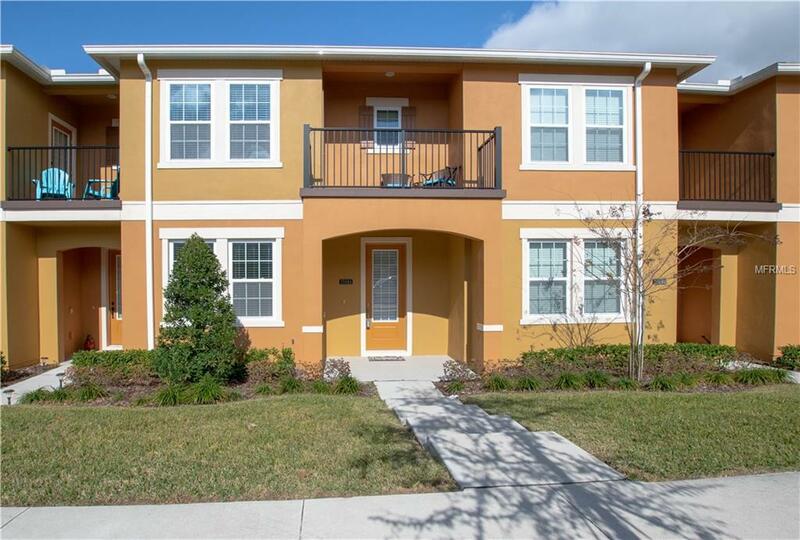 Located just 20 minutes from downtown Orlando, the community amenities include shopping, dining and entertainment in the new town center; a community pool, clubhouse, and a network of trails and parks to help you feel connected to the natural setting along the shores of Lake Hancock. Plus the new Orlando Health Hospital is right down the street.